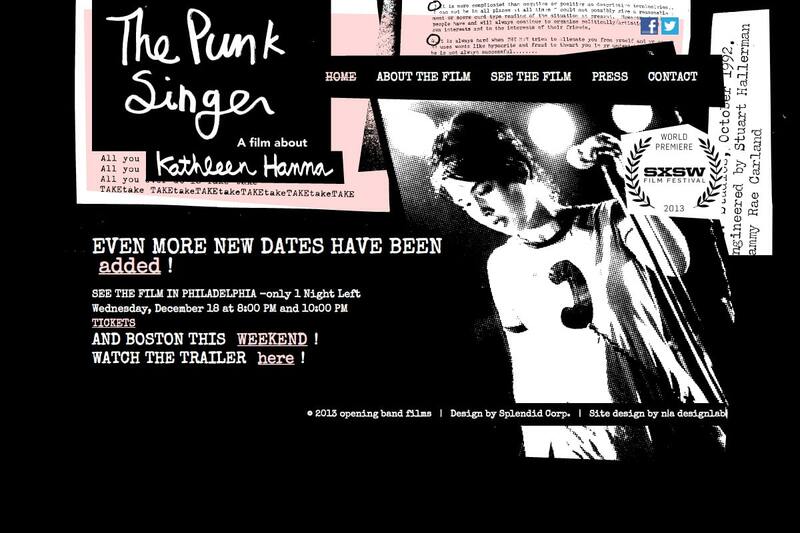 The Punk Singer is a film about Kathleen Hanna, lead singer of the punk band Bikini Kill and dance-punk trio Le Tigre. 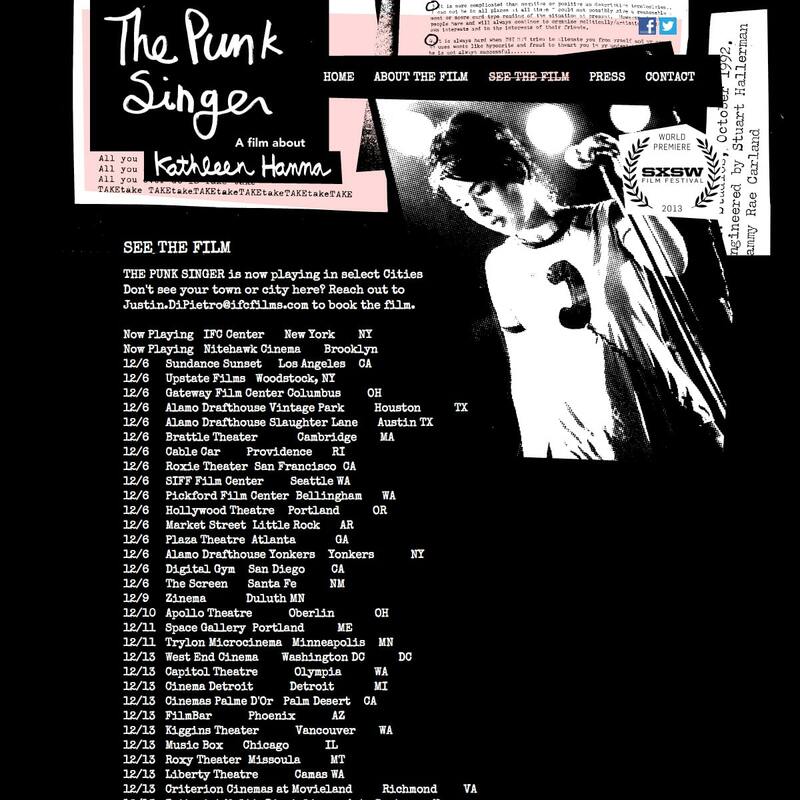 The film looks at why she stepped back from the stage in 2005, and what is next for her. 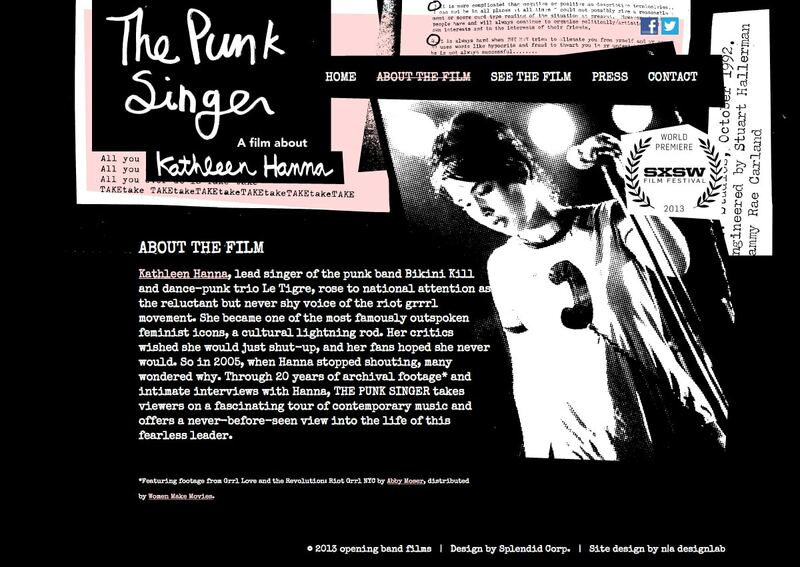 The design of the website, based on poster and collateral design by Splendid Corp, incorporates a grungy, zine-like aesthetic, and offers viewers essential information about the film, all the while allowing the production team to update time sensitive information through an easy-to-use content management interface.